On Oct. 31st. I received an email from a young woman �Jane Olsgaard� 29 years of age who had been surfing the web to see if she could find any information on adoption when she stumbled across my web blog. 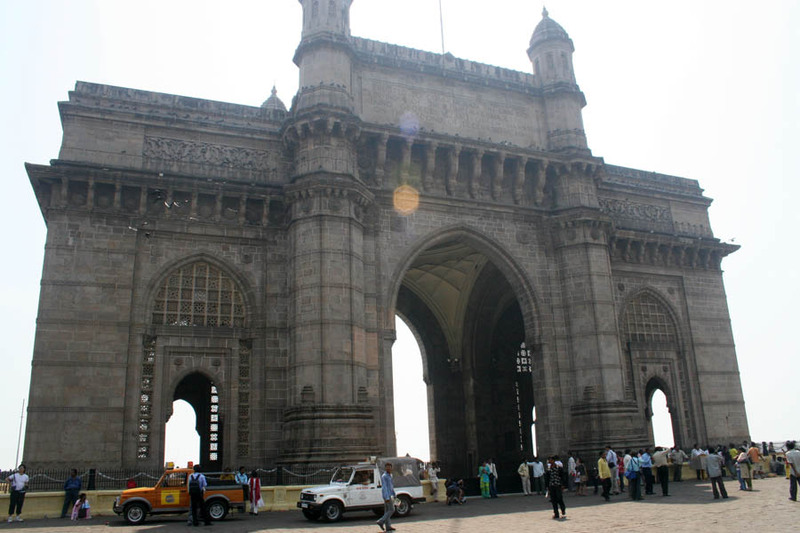 She read it and quickly realized that I am adopted from Mumbai India. Jane put two and two together and figured out that she and I came from the same orphanage. She decided to write to me to see if we were a link to each other�s past. We are. :) I remember reading her email and thinking �Oh my gosh� She and I were at the same place, same time, and were both brought to DK by Mrs. Jaisita Panigrahi on August 15th 1978. This was surreal. I wrote Jane back and sure enough she and I only a year and a month apart almost to the date started and ended our life at MSS together. Now when I look back, I can�t believe this has happened. I never in my entire life thought that I would meet anyone from my own past. I look at this project, it's goals, and what I am trying to do. For Jane to come into my life at this time is such a blessing. We�ve been in contact ever since and each day I find that she and I are almost identical in how we think, what we do etc. Jane also has a younger brother from 1980, same year as my sister. It�s absolutely amazing. 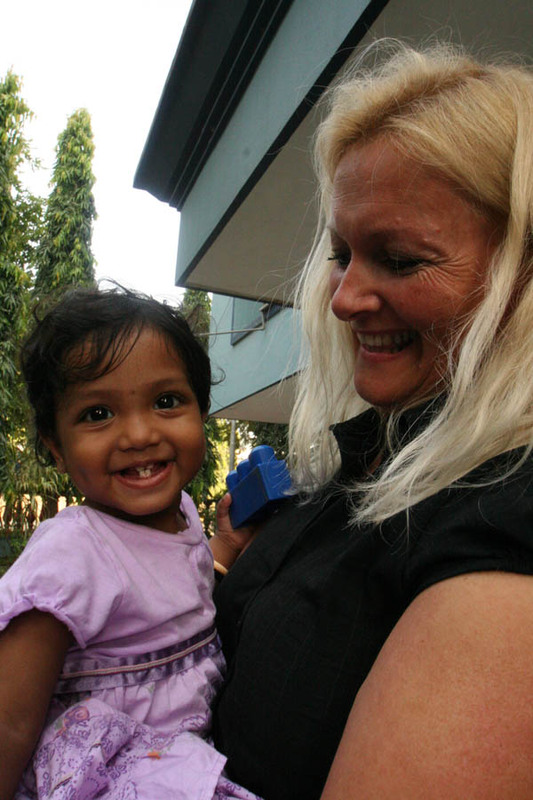 I look forward to be able to introduce her to our first home (our orphanage) in India, show her around, etc. Talk about a small world. I am sitting in LA and she�s in Dk. I really feel it�s as if I�ve found a long lost sister. I am grateful that I have this blog, grateful to all of you who read and follow this process / project. Thank you, and I can�t say that enough because it means the world to me that you care. 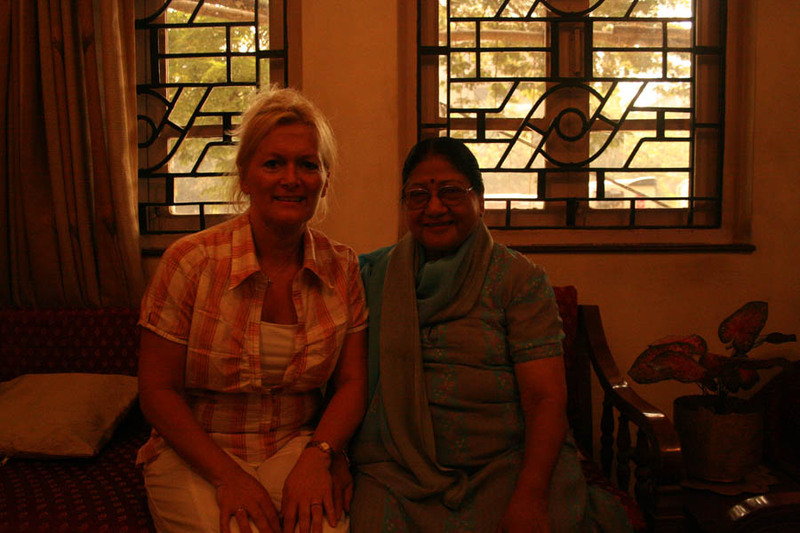 In 2007 I am now planning to go to India with Jane as she has never been and would love to see the country we both were born into. 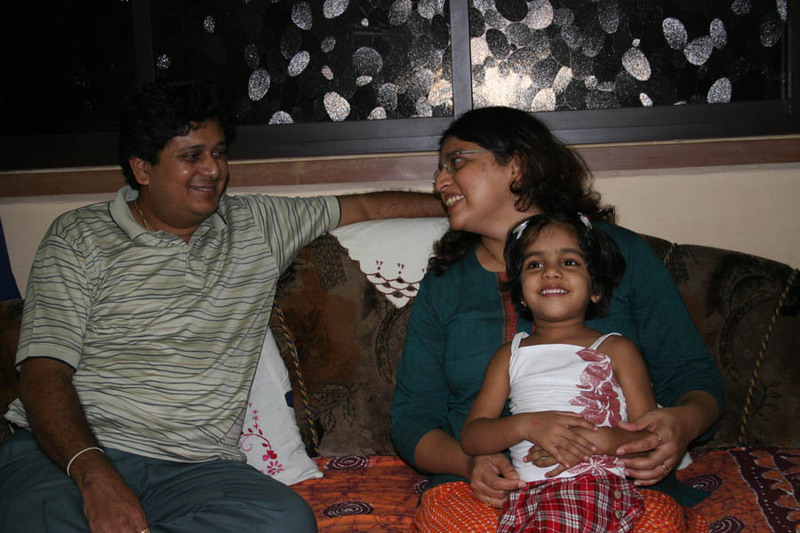 Prasad and Ragini were cleared on November 29, 2006 and I would like to start by saying congratulations to their families here in the United States. I know that it was an extremely special day for all of you as you�ve waited a very long time to be able to refer to Prasad and Ragini as your children. 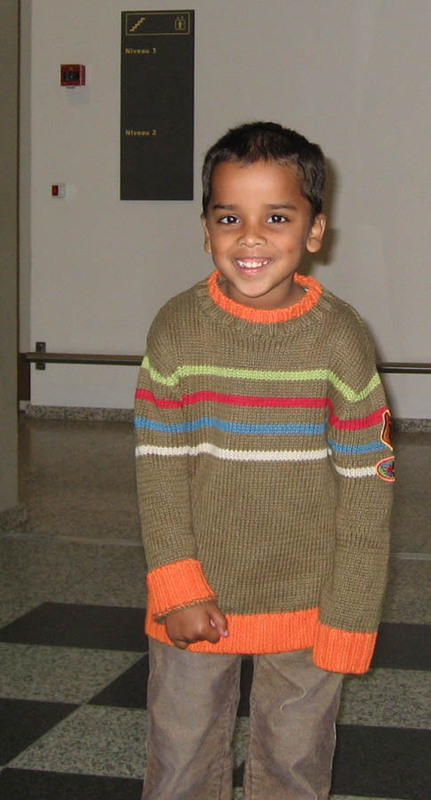 Over the past year I�ve gotten to know both children very well. They are full of life, yet the one thing they always talked about at BV was how much they wanted a family. When I returned to India with Maybritt this past Oct. to help bring her daughter home, Prasad was eager and overjoyed to share his family album with me. He kept pointing to the pictures of his mom & dad. 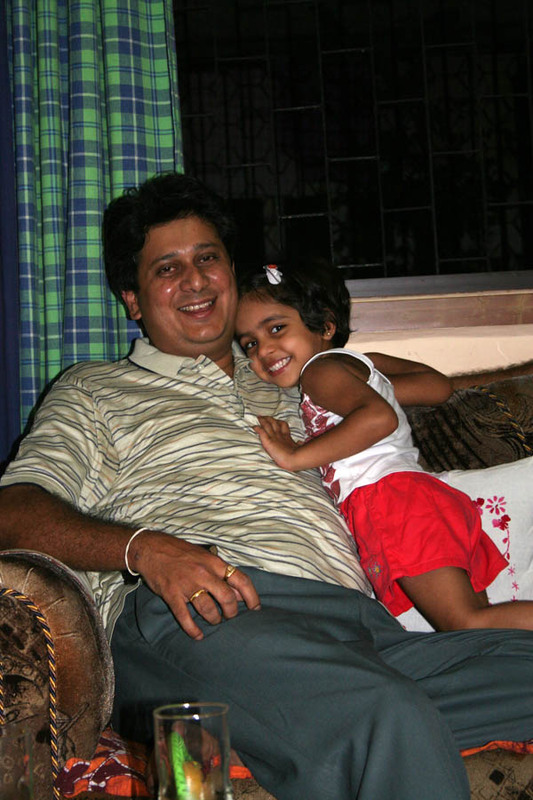 I didn�t get to see Ragini's album at the time. 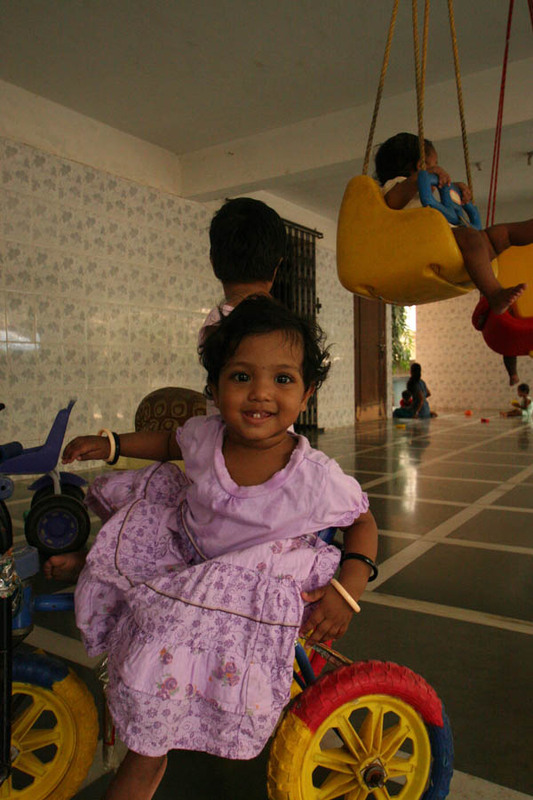 Ragini is a sweet down to earth girl who loves to draw, dance, and chew on pencils. 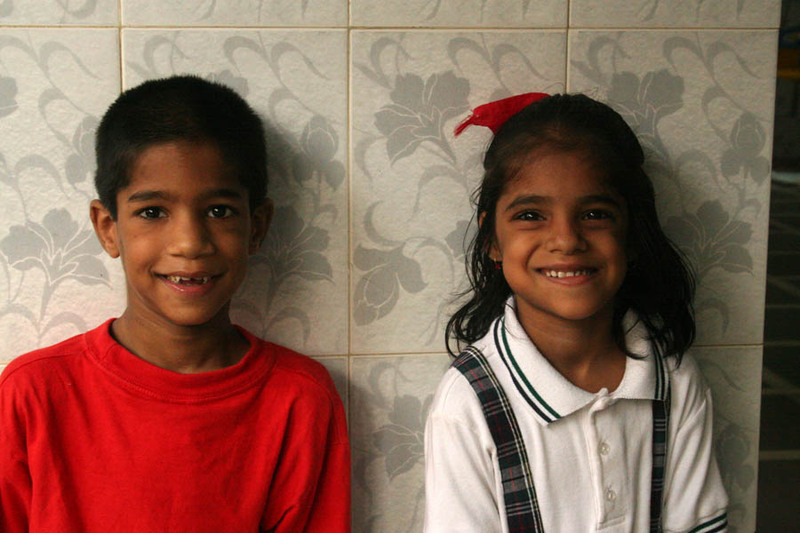 :) Both children have grown up like brother and sister at BV and though they will go their separate ways in 2007 their families will stay in contact with one another to maintain the relationship between the two. I am thrilled that both children will be on the same continent as myself and I can�t wait to continue to know them as they grow older. It�s like everyone always says here, �Everything happens for a reason� Again, congratulations to Prasad, Ragini and their families. Hello to everyone around the world and colleagues. Thank you so much for all your e-mails and blessings to Maybritt and I. We greatly appreciate all the love you have sent to us both on this journey. I have now returned to LA after a long wonderful journey. 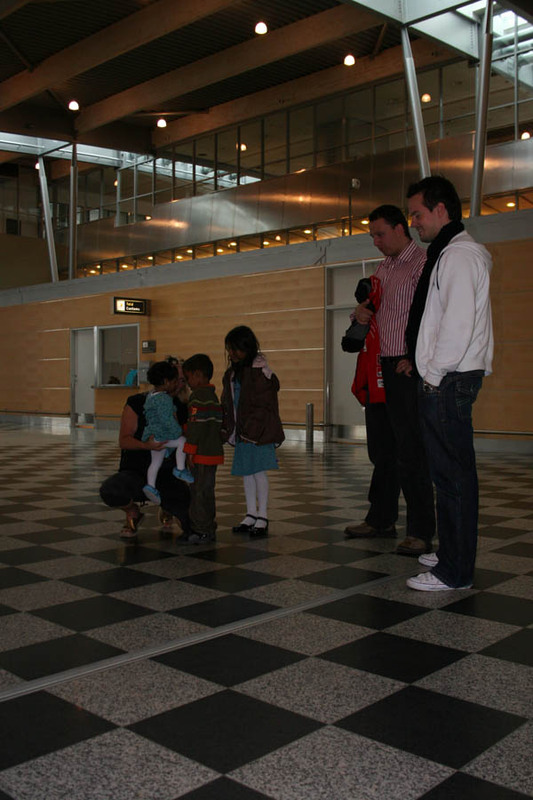 This trip to Denmark and India has forever placed a special memory in my heart. Foremost, I would once again like to express my gratitude to Maybritt and Brian for allowing me to be apart of this wonderful experience. Words cannot describe how grateful I am to them for all they have done for me. My trip started on October 6, 2006. 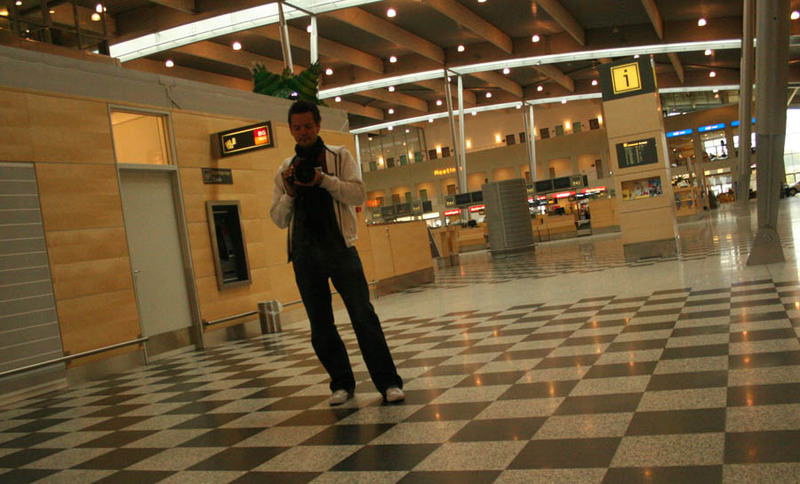 I left out of LAX airport and began my journey to Denmark. Originally, I was supposed to arrive on the 7th in Copenhagen, but due to an engine problem on the NWA/KLM flight we had to land in Minneapolis which caused my flight to be a day delayed to Denmark which made me miss my flight to Mumbai as well. 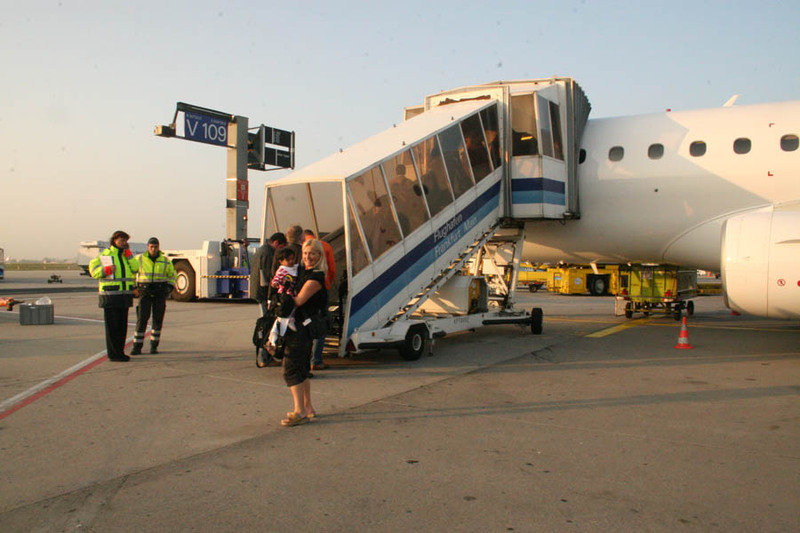 As I said to Maybritt at the time this happened, �What else is going to stand in the way for us to reach Sarah- Sakshi?� Maybritt acted quickly and got us all on a flight a couple day�s later than planned via Lufthansa. 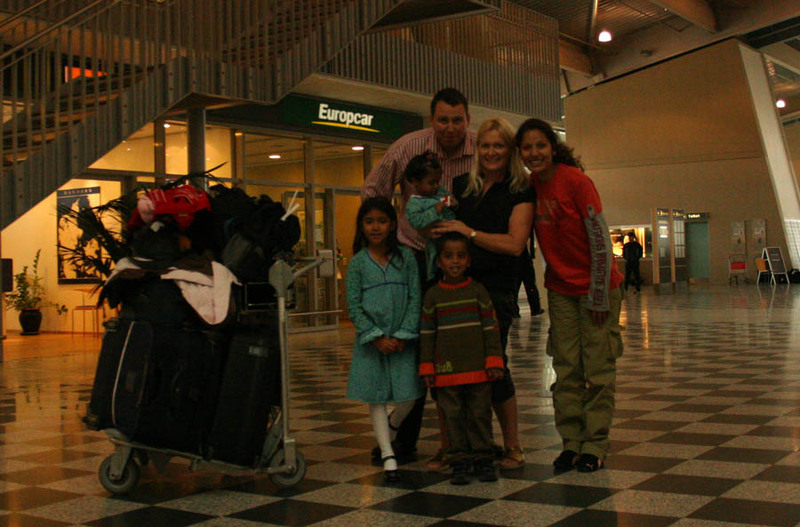 Nevertheless, I arrived to Denmark on October 8, 2006 where I was greeted by an old friend Peter. Peter and I used to attend grade school together when I lived in Denmark. In accord with my trip being postponed to India, I ended up having two days to spend in Denmark. 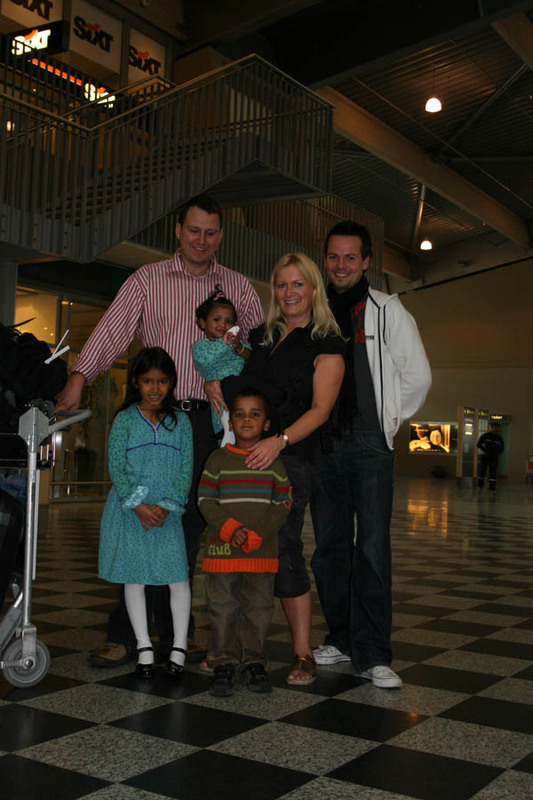 Peter was kind enough to allow Maybritt to stay with him in his apartment the night before our trip and then he continued his kindness and was gracious enough to see us off at the CPH airport to continue our journey to the little Sarah-Saksi. Maybritt and I were all s on this day. All we could say was �We Are Flying� (Nu Flyver Vi). 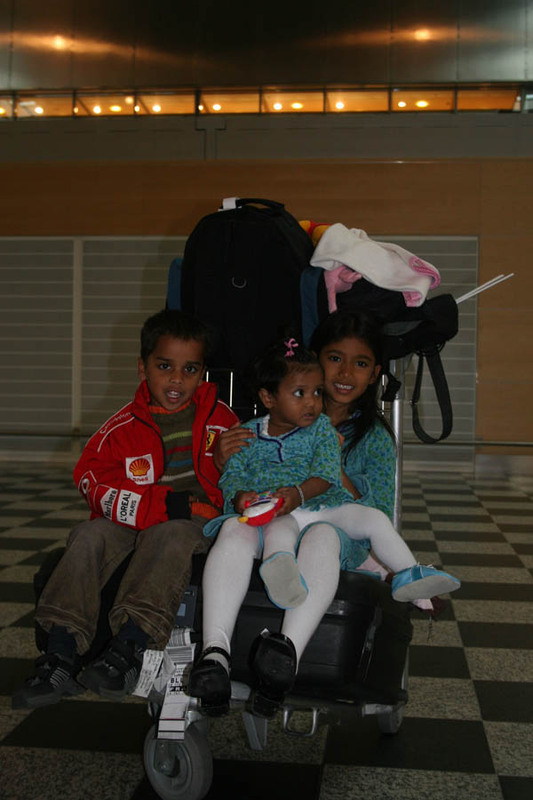 We landed in the Frankfurt airport and proceeded to our Mumbai gate. 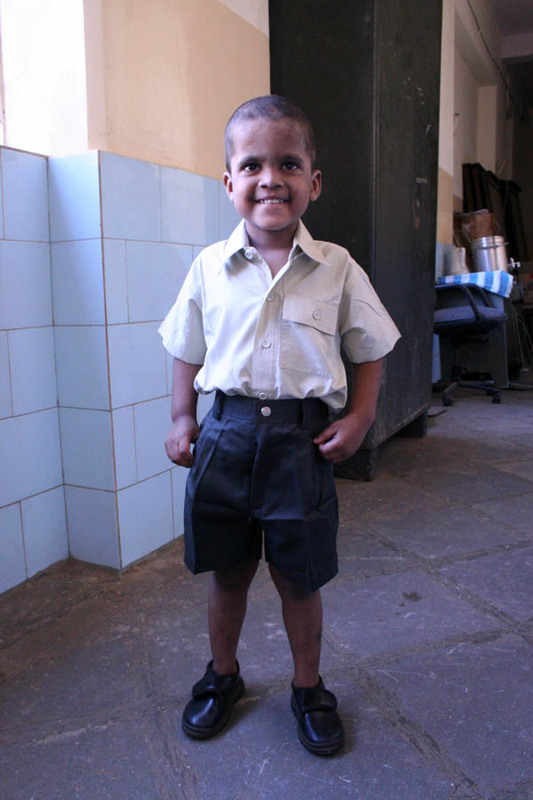 As we were standing there a someone kept looking at me and I thought � Where do I know him from?� It turns out he is the father to an Indian adoptive girl Veda from Bal Vikas (local adoption) of whom I met and interviewed while I was in India, back in Jan-April. What a small world. I was very excited to see him again. Maybritt and I entered the flight with s, laughter, and embraces � we were just overwhelmed that this was it; we were finally on our way. After a long flight we landed in Mumbai India. The next day, Maybritt and I got up and got dressed. We went over to Jaisita�s house that morning; I had brought a dress for Sarah-Sakshi to wear, so I wanted to take it into Bal Vikas with Jaisita. We reached Bal Vikas and both Maybritt and I were getting a little emotional. We went up to the BV office and I was greeted with s and hugs from the BV office staff. I left Maybritt in Jaisita�s office and proceeded upstairs to where Sarah-Sakshi was getting ready. I clearly remember walking into the room on the third floor and seeing Sarah-Sakshi sitting on the floor. I walked over to her and tears just fell down my cheeks. She was so big and as she was looking up at me and my camera with her big beautiful eyes as if she was thinking �You Came Back.� It was time for Sarah-Sakshi to meet her new mother for the very first time. As Jessy put Sarah-Sakshi in her dress she gave her a bindi. Sarah-Sakshi just kept looking at me and vigilantly smiling. 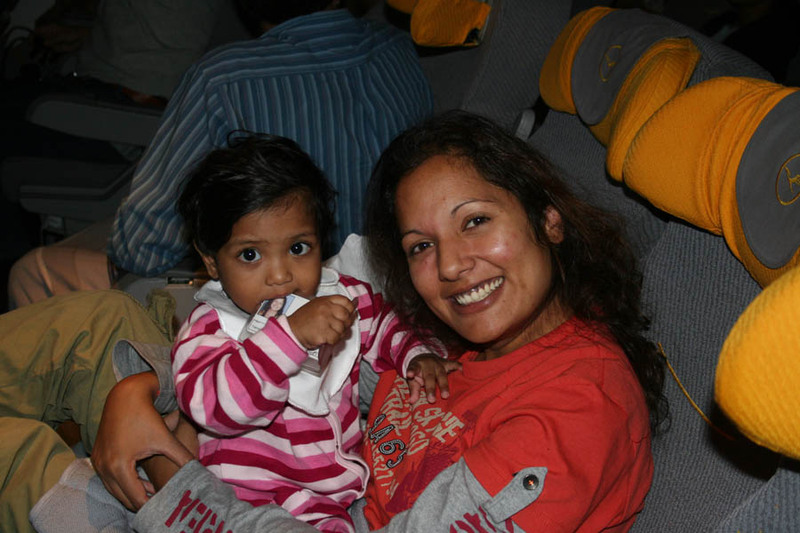 I followed them both down stairs into Jaisita�s office where Maybritt reached out her arms to give her daughter a hug. 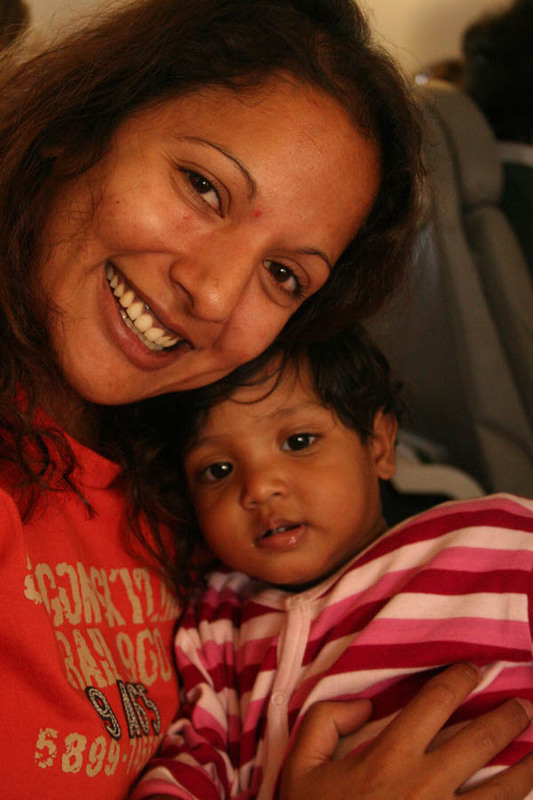 Sarah-Sakshi was a little hesitant at first but quickly warmed up to her mother and started to . They bonded from the beginning and Maybritt gave her daughter her lunch. 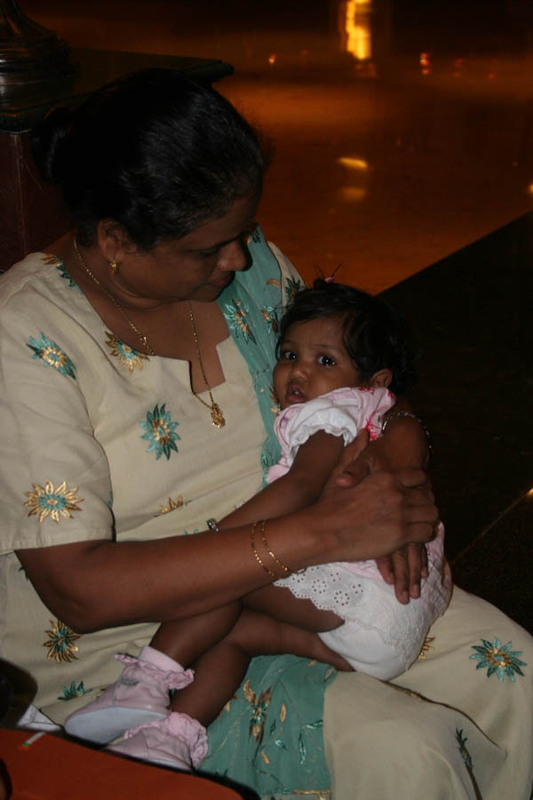 Sarah-Sakshi fell asleep in her mother�s arms for the first time. It was just spectacular to witness. We spent the remaining day at BV, Maybritt with her daughter, and I with all the other children. I have really missed them. Some of them came up to me to show me album�s of their families who had sent photographs to ensure they will also be leaving in 2007. 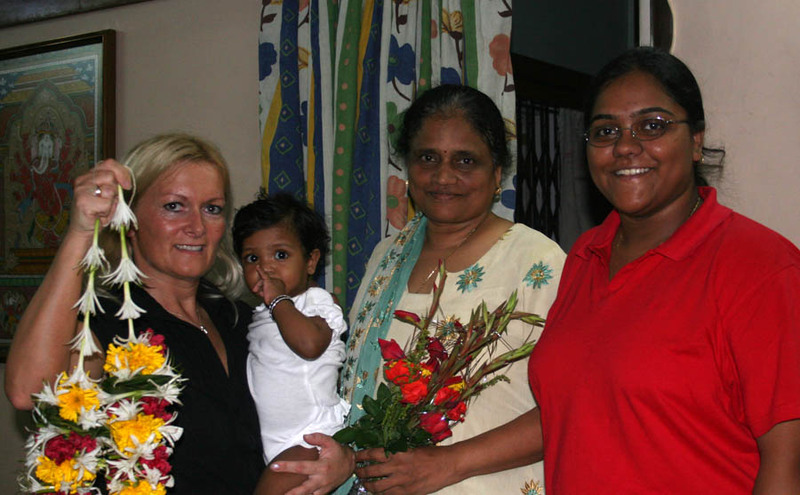 While in India, I received the news that more children had been adopted to Danish and American families� my heart was full of joy. This is really something to live for. 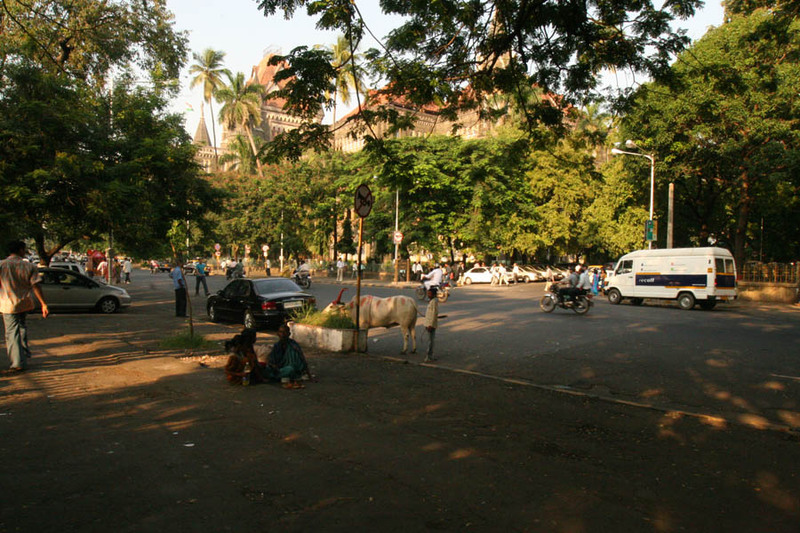 Over the next couple of days Maybritt and I had spent some time at BV and went to HC in downtown Mumbai. I was on a mission to meet the honorable judge who currently serves, I wanted to meet and speak to him about international adoption. Let me be the first to say that this judge is a very kind understanding man. He too was glad to meet Maybritt and hear about my project. He provided me with a wealth of information to continue my research. I regret that I cannot post any pictures of him on my blog out of respect to him. Maybritt and I left HC with this feeling of success. She had met the judge who cleared her case and I had the wonderful opportunity to yet again meet and speak to a judge and get his viewpoints on international adoption. The people at HC overall think that I am a crazy adoptive girl marching in wanting to meet the honorable judges, but how else would I really know who they are and what they stand for other than what I can read on the HC website? Going back home, Maybritt and I caught a cab. For someone who has never been to India, I must say that she was a great sport. 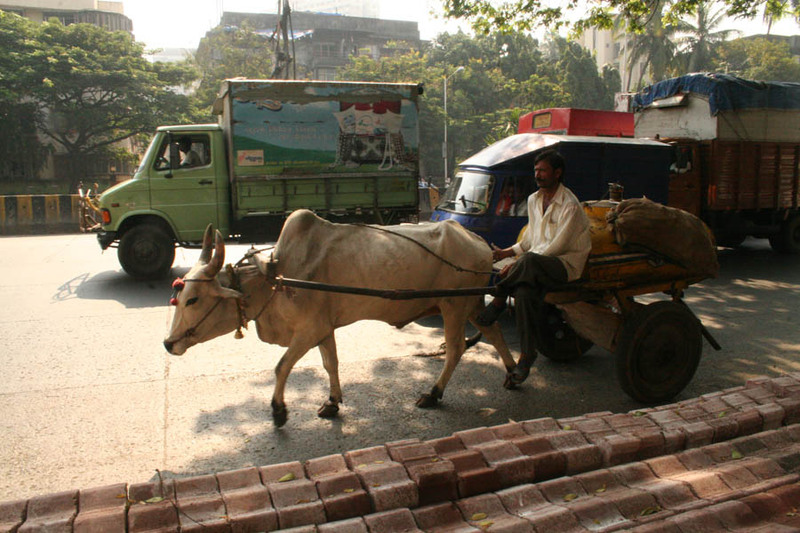 Whether it was a rickshaw, cabs, or crossing the street while traffic was heading towards us, she was always up for it. Godt g�et Maybritt. Du er et af de mest friske mennesker jeg har m�dt l�nge. 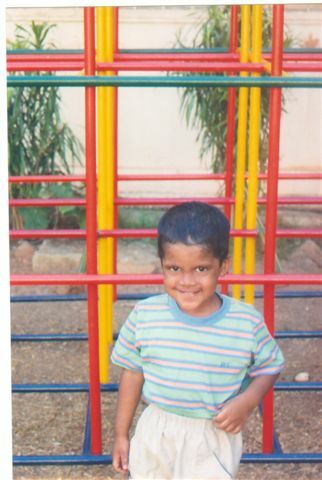 The following day we stopped my Manav Seva Sangh, my orphanage to say hello. We were both greeted with s and Maybritt was overwhelmed by all the children coming up to her wanting her to take their picture. We stopped by to see Chandrika, who was at MSS when I was just a baby. She is such a lovely woman whom I absolutely love and adore. 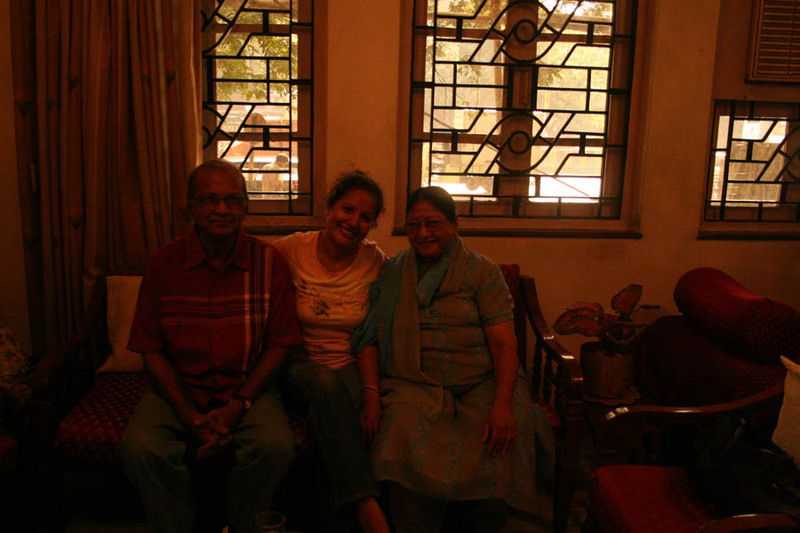 She too is like a mother to me while I look at MSS as my home when I am in India. It�s another root and connection to my past. In the same respect, I feel blessed to have so many brothers and sisters in India. 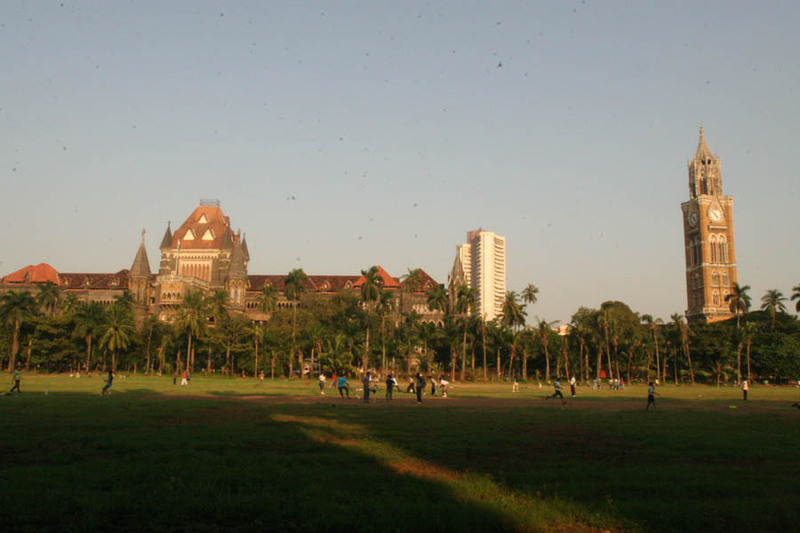 As you all know, I have no way of tracking down my biological parents as I was left at Dadar railroad at a month old, but to me, MSS is my home and my roots. It doesn�t get much better than that. 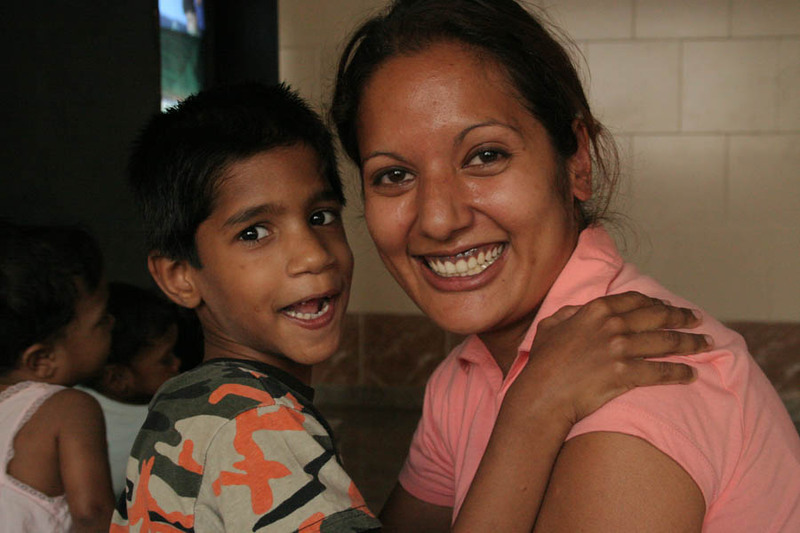 I was reminded how lucky I am to have such a big loving family in India at MSS. Every time I visit I loose track of time, and when reminded�I don�t want to leave. MSS is something very special to me and something I hold very close to my heart. I would urge any adoptive child who cannot track down their biological parents to visit the orphanage in which they come from if it still exists. The big day finally arrived and it was time to bring Sarah-Sakshi home. Again, Maybritt waited in Jaisita�s office while I went upstairs to film. All the ayers were hugging and kissing Sarah-Sakshi goodbye especially Jessy who has been a big part of her life during her time at BV. I followed Jessy down to the office where Maybritt and Jaisita were waiting. 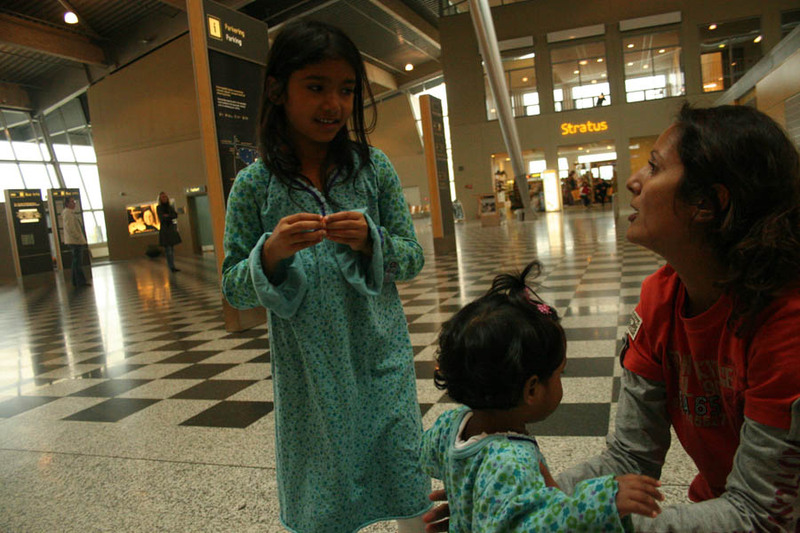 Jaisita took Sarah- Sakshi, gave her a hug and handed her over to Maybritt. At this point we were all a bit emotional again. This was a big moment. Most of you who have been following this family�s adoption process know that this has been a time filled with much deserved and heartfelt laughter and beautiful tears. 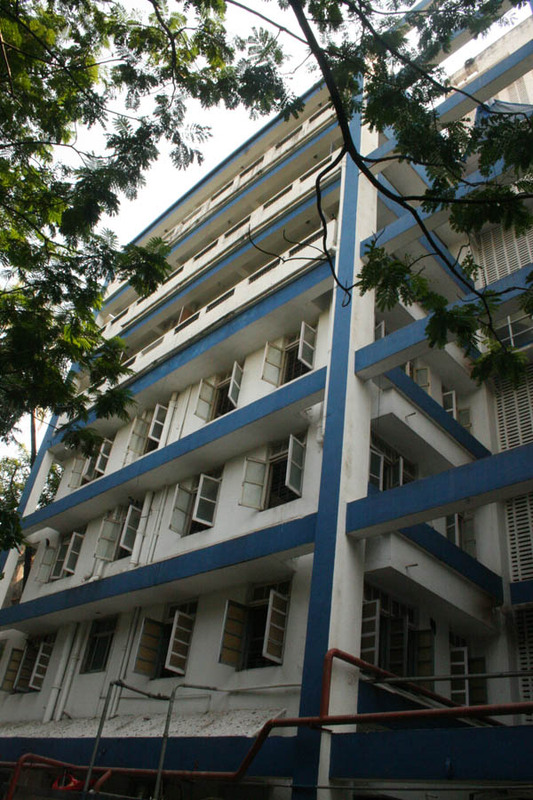 Mother and daughter proceeded down the stairs and out through the main entrance where Sarah-Sakshi once and for all parted ways with her time at BV. This is what a truly beautiful moment encompasses. We got in the car and drove off. The next day and a half Mabbritt and Sarah-Sakshi just bonded and got to know one another. 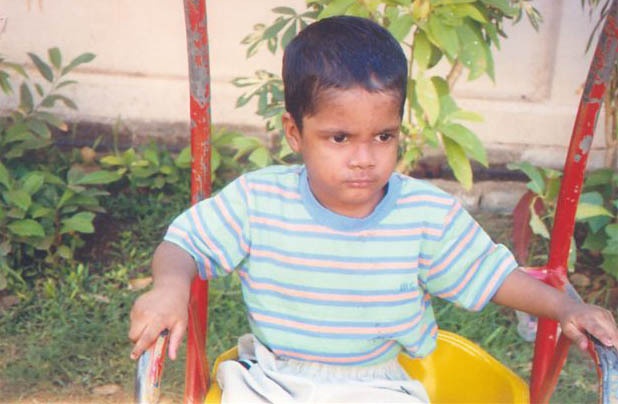 Sarah quickly adjusted and would start to get anxious if she couldn�t see her mother. On the way to the airport, we stopped at a hotel near by the airport where we had dinner. 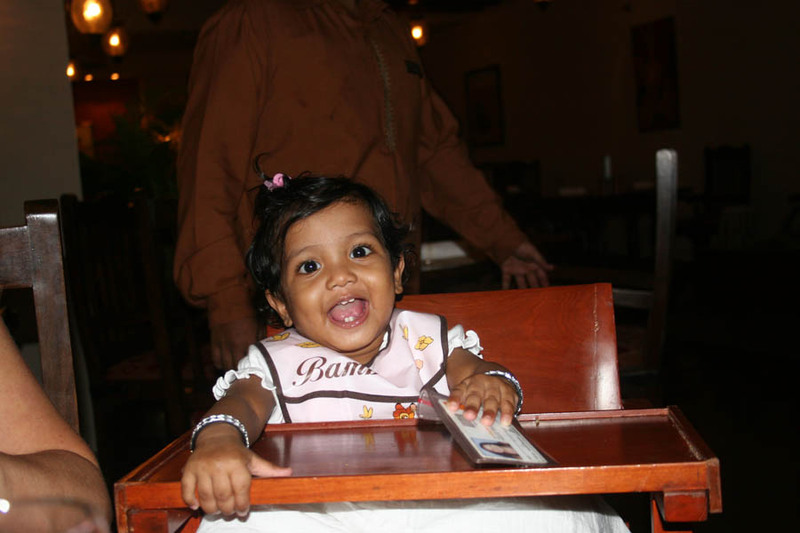 This was Sarah-Sakshi�s first restaurant visit. She was all s during the meal. 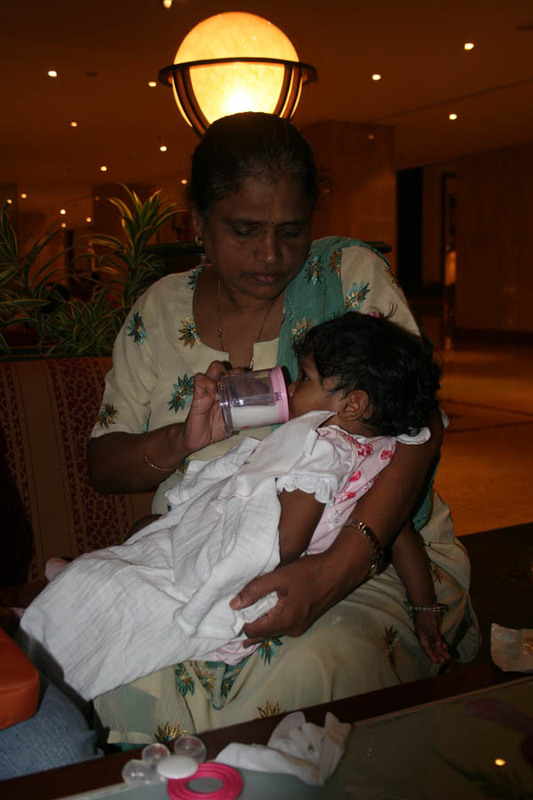 After dinner we had some desert at a caf� and Jaisita gave Sarah-Sakshi milk one last time before we headed down the street to the airport. This was yet another touching moment as Jaisita and Sarah-Sakshi parted ways and we said our good byes. Maybritt, Sarah-Sakshi and I went to through security and checked in. The man at the gate working for Lufthansa was quite funny. While Maybritt was holding her daughter I stepped forward to present our passports; the man immediately looked at us and said �I see you have one adoption� I couldn�t help but . He was used to it but it was the way he said it. We presented the HC papers and off we went. 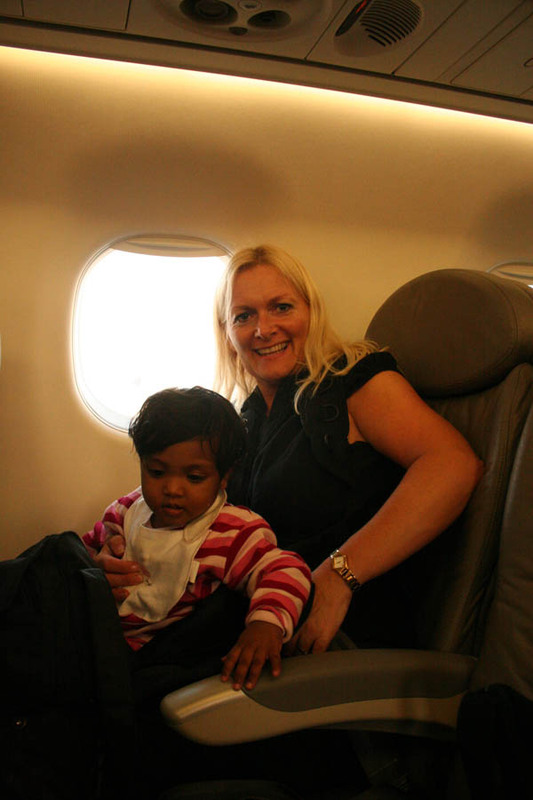 We boarded our flight and started our trip back to Billund, Denmark. Sarah-Sakshi was a brave soul. Didn�t once cry, just slept, played and d the entire way home. We reached Denmark and Maybritt went into the ladies room to change her daughter into another dress which I had brought for her and her older sister Sharon. 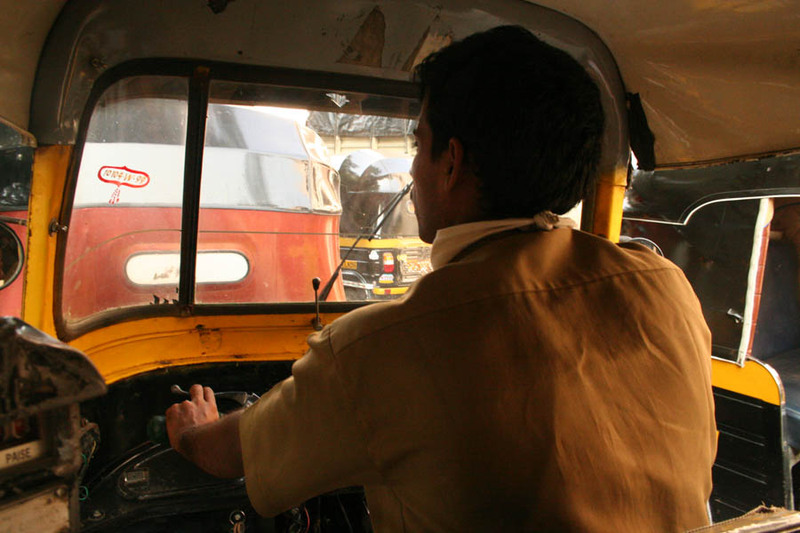 As we proceeded towards the exit- Sarah-Sakshi saw her father, sister, and brother for the first time through the glass window. They were waving with a Danish flag. The rest is pretty self explanatory through the pictures. Saying goodbye to the family was hard but we were strong and pulled through. It was a happy yet sad moment because as we were closing a chapter the family was starting a new chapter as a new family. 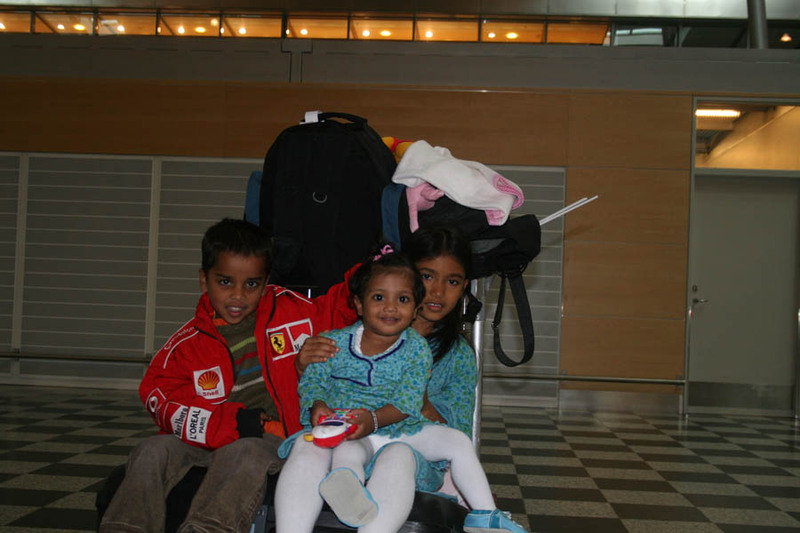 Sarah-Sakshi�s siblings were just ecstatic to see their little sister, it was just beautiful. This trip is definitely one to remember for all our lives involved. Stay tuned for more progress updates. I cannot believe that I am only a few hours away from leaving sunny LA to go back to India. I will not be answering my cell phone while I am away unless you are apart of my family. Roaming charges are crazy. The best way to reach me is through email contact@balvikasproject.com or sarahbtalreja@yahoo.com. LOVE & HUGS TO EVERYONE. I can�t believe that I actually have the privilege to write yet another HC clearing congratulations within just a few weeks. 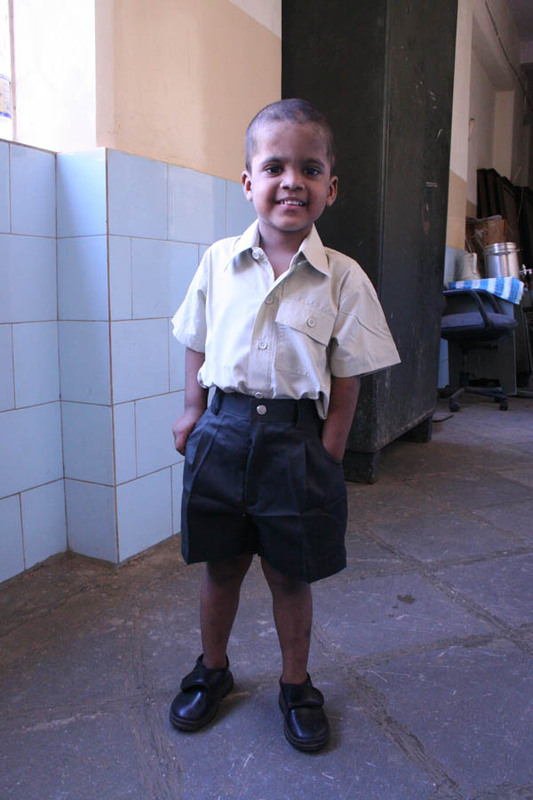 Today, four-year-old Anish was cleared. HURRAAAAAAAAAAAAAAAAAAAA. Can you hear me all the way from LA...... This is absolutely amazing. Congrats to Pia and Rafat. Pia and Rafat is another sweet Danish couple that I came in contact with while in India. We connected immediately since Pia is a very sweet down to earth young woman with a big heart. 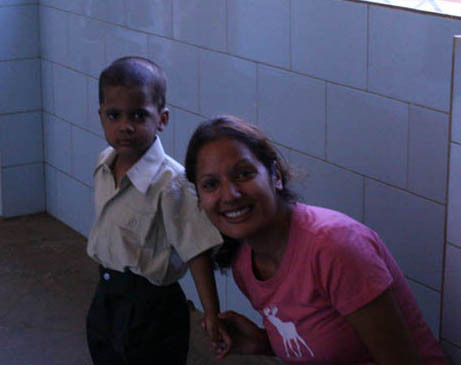 Though I was not going to cover Shraddhanand Orphanage for my project� the more I came to know about Pia and Rafat�s adoption process the more I wanted to meet their little boy. 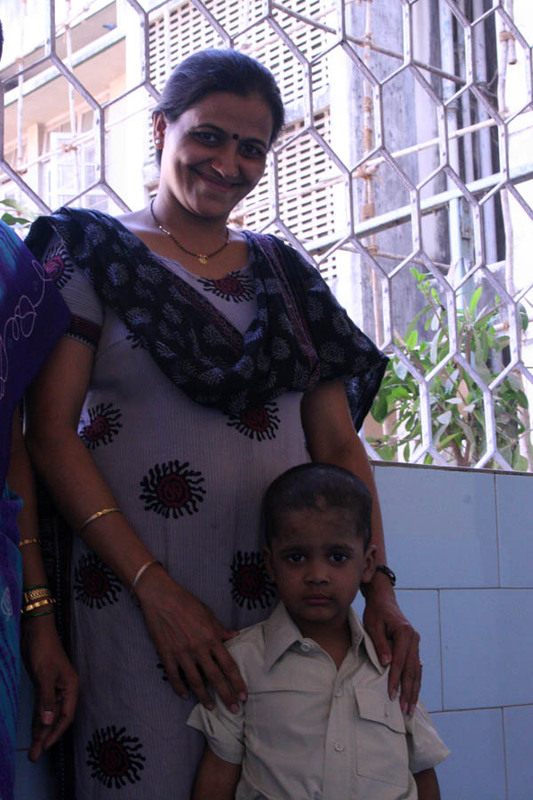 I visited Shraddhanand Orphanage a total of three times, and the last time, I was fortunate to meet and take a few pictures of Anish, with his social worker. My first meeting with Anish was like non other. I had practically begged to see him. While waiting I could feel my heart pounding fast�. I was excited to meet him. 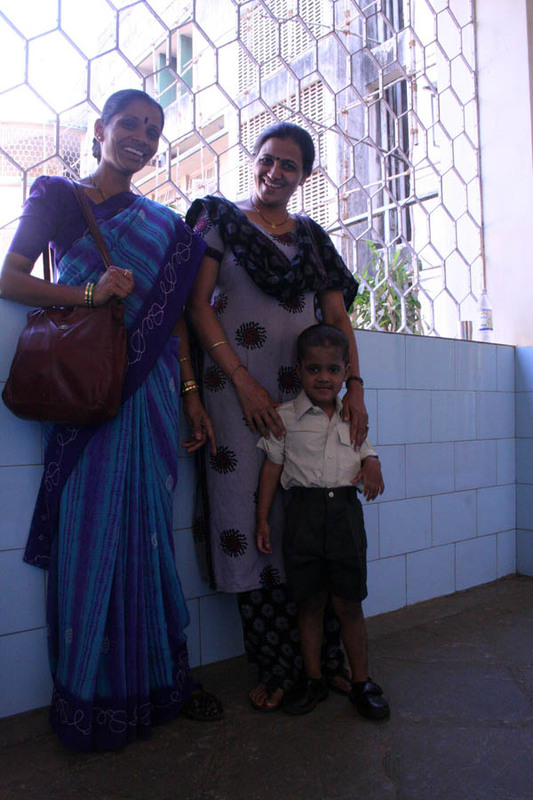 A few minutes later, one of the caregivers came to the office with the cutest little boy�. It was Anish. He looked at me and d. His social worker explained that I was a friend of his mother�s and that I had come to meet him, give him a hug from his parents and take some pictures. He was a little afraid of my camera but I must say, for a four- year- old he was just amazing. With weeks away from going home, I am just in tears of happiness that this family finally will be united with their son whom they love with all their heart.